This is a public domain file downloaded from Wikimedia. Credits to The James Ford Bell Library, University of Minnesota. Thank you for sharing this amazing map. 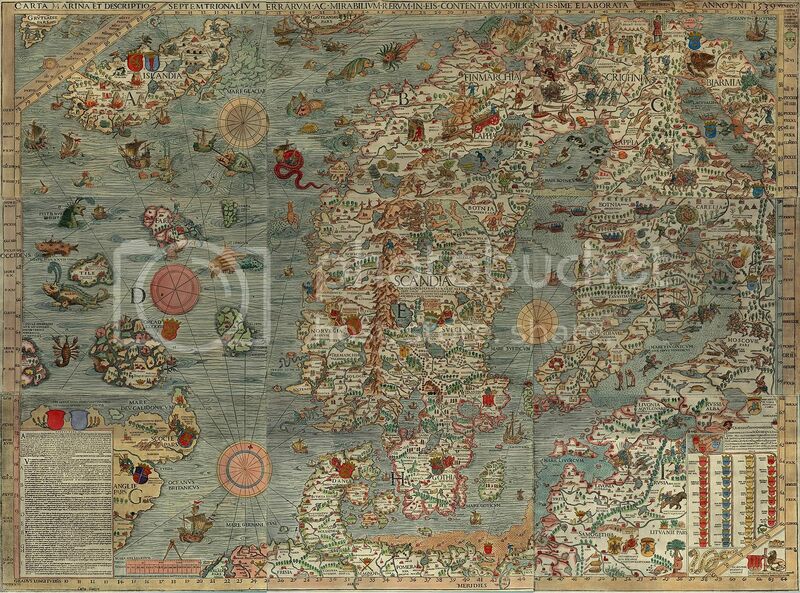 Carta Marina of the Nordic areas is made by Olaus Magnus. Text : A Marine map and Description of the Northern Lands and of their Marvels, most carefully drawn up at Venice in the year 1539 through the generous assistance of the Most Honourable Lord Hieronymo Quirino.